We love getting updates from our adopters (hint, hint!) and are thrilled that Sable, now Lady, found an awesome home. Her new mom and dad recently said "I Do", and Sable and her pup-sisters were the flower girls! Check out this adorable photo of the flower girls and the happy couple. Congratulations and may you have many years of joy! Dixie came into rescue from a local shelter and was a bit nervous to find herself in a new place. She was sweet as could be from the get-go, but she needed a little time to regain her confidence and shine. 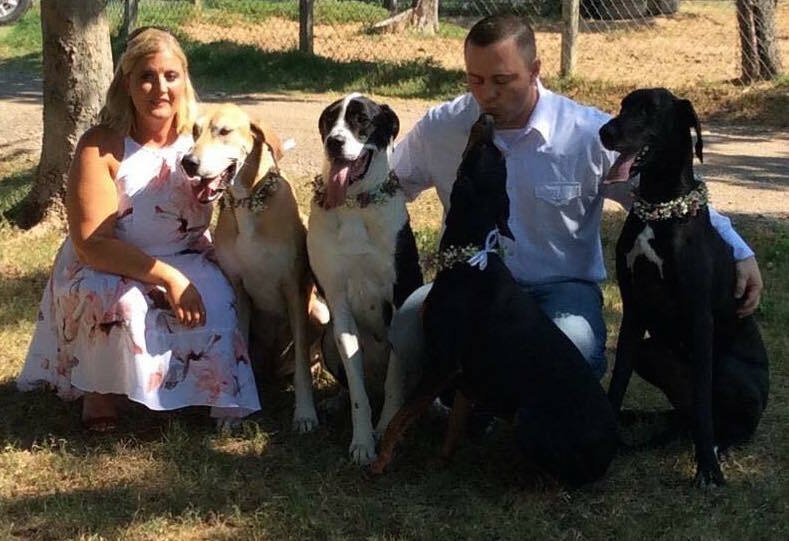 When an awesome family came along who looked like a good match, Dixie immediately warmed up to them – it was like she knew they were meant to be her family! 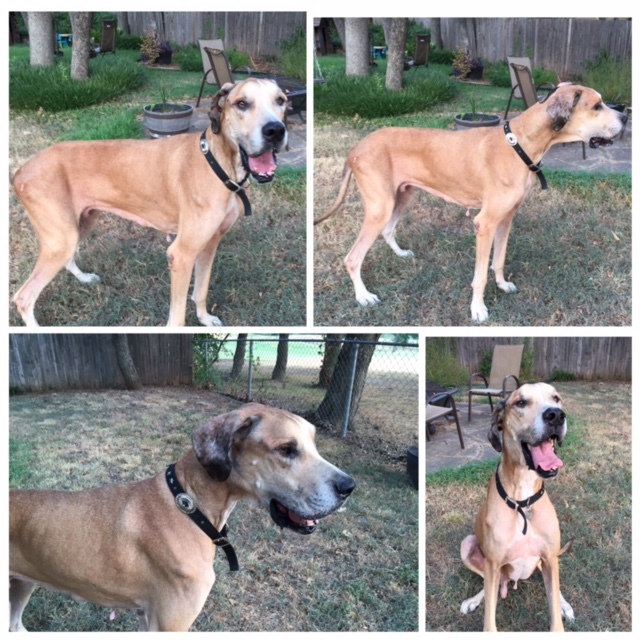 Here at GDRNT, we love getting updates on Danes from their furever families! Some of you may remember Gypsy, who spent over a year with rescue waiting for the right home. 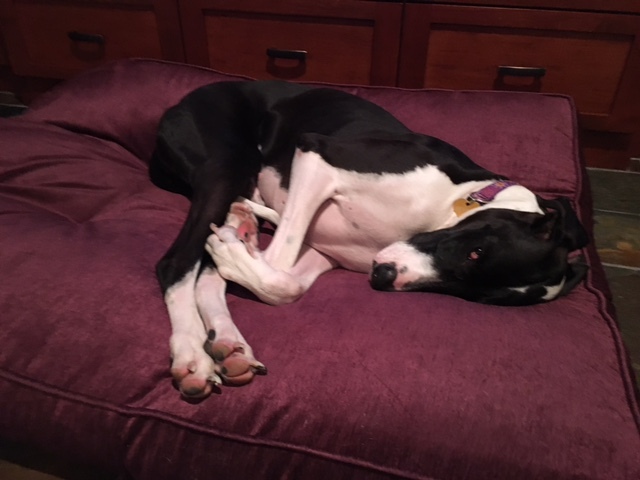 She was adopted a few months ago, and her family recently sent an update (and gave us permission to share!). Thanks to her family for loving her and for sharing your story! 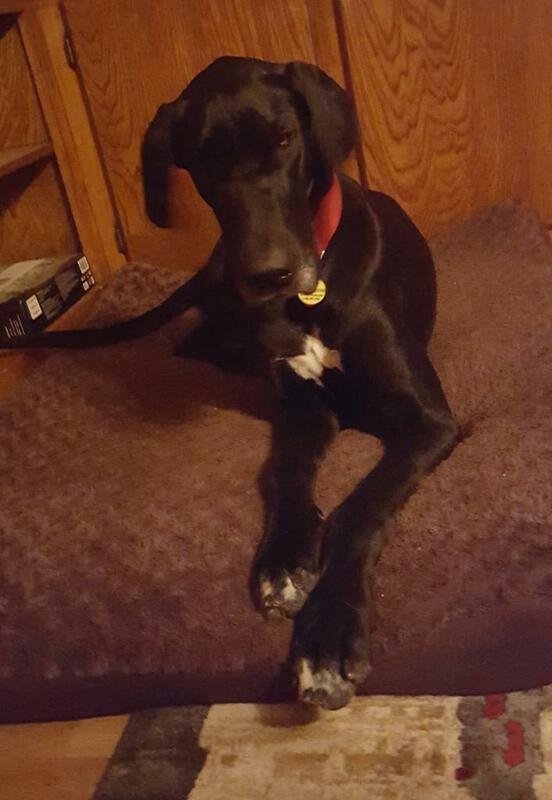 We do not often get puppies in rescue, and when we do, we never know if they will be full Dane. Kellyn and his littermates were found in a rural area with their momma, Emily, and we were asked to take them in. 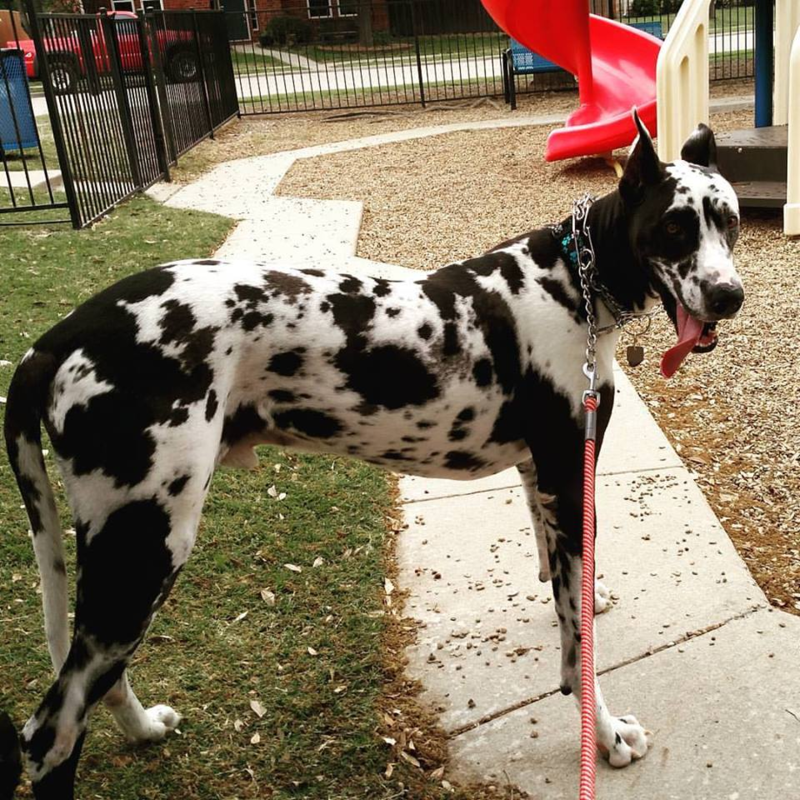 While their momma is a Dane, we have no idea what kind of dog the dad is. 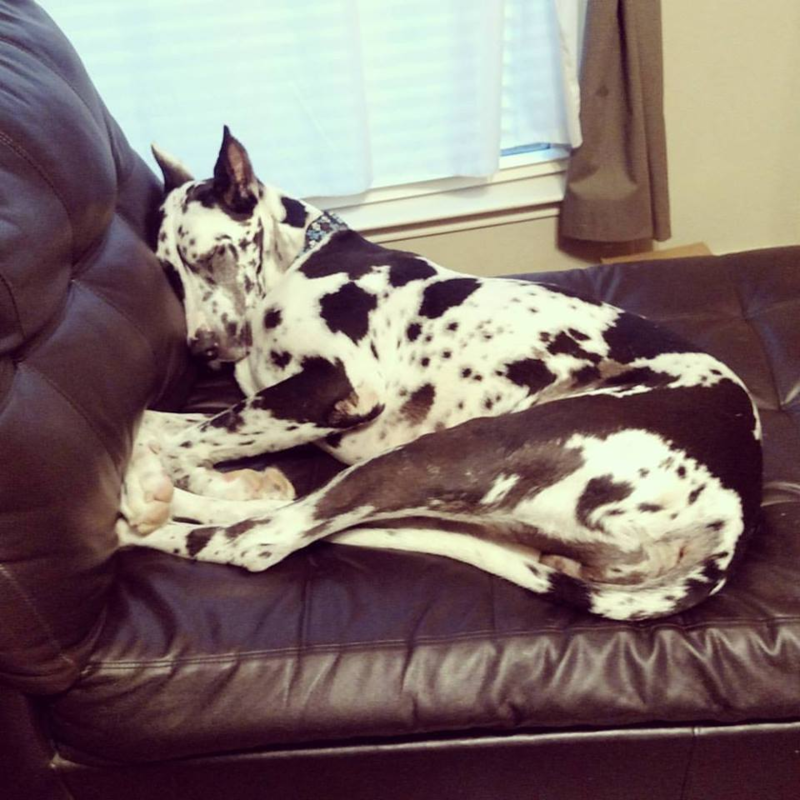 We only know that he must be big because these pups are growing like weeds! Once a GDRNT dog, always a GDRNT dog. Usually, a furever home is forever, but in the event something unforeseeable occurs, a pup always has a warm bed in one of our foster homes. So it was with Arthur. Arthur initially came to us as a young tripawd in need of muscle tone and to fully heal from his amputation. 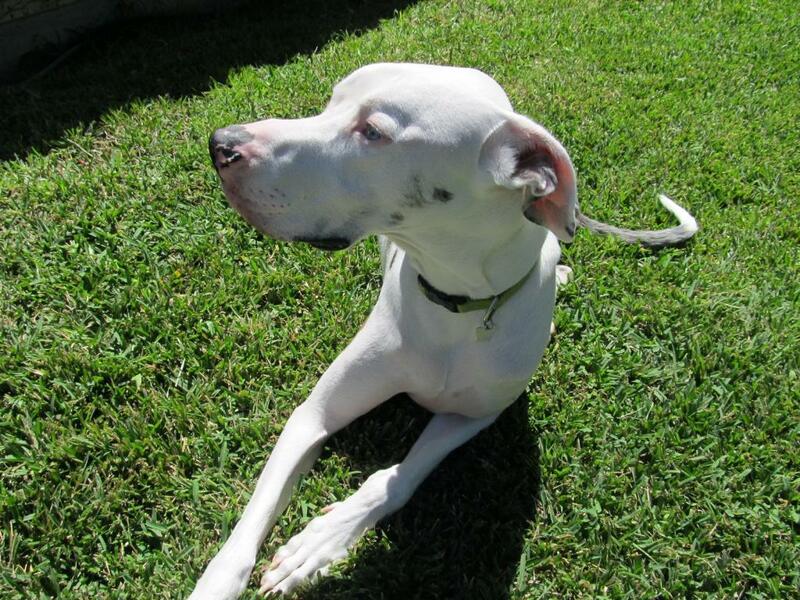 This sweet boy loved every soul he met and quickly found a home. When unexpected changes in his adopter’s home meant that they couldn’t keep him, Arthur came back to rescue, still very much a sweet, young guy. 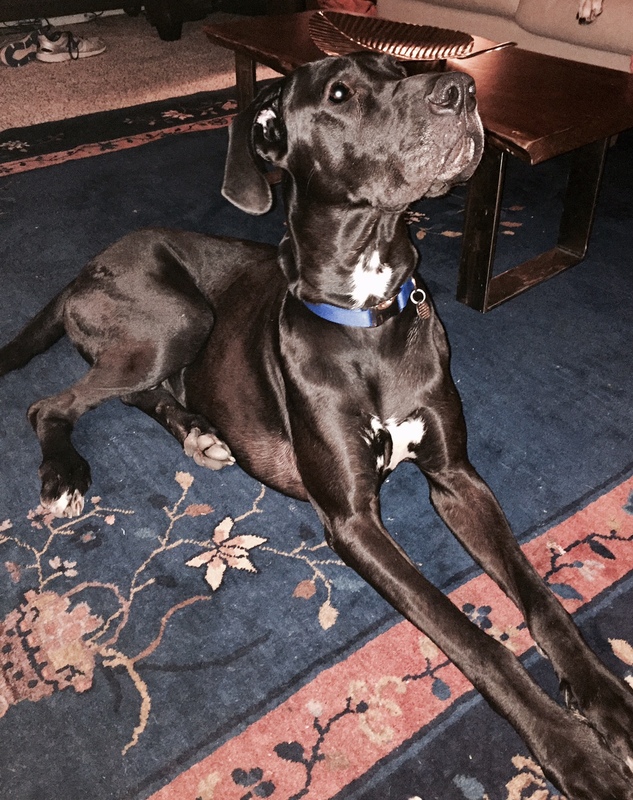 Our adoption team has been hard at work matching our pups with awesome furever homes! They’ve been so busy, that we’ve gotten a bit behind on updates. So, check in again in the next few days for additional happy tails! When one of our foster homes "fails" and becomes a FURever home... Finally. 55.....56.....57....58.....yep that was the magic number! Johnny was the 58th foster to come through the foster home in the 10 years this family had been fostering and what do you know, Johnny was a keeper! When Zaylie learned we had found the perfect furever home she was so excited. 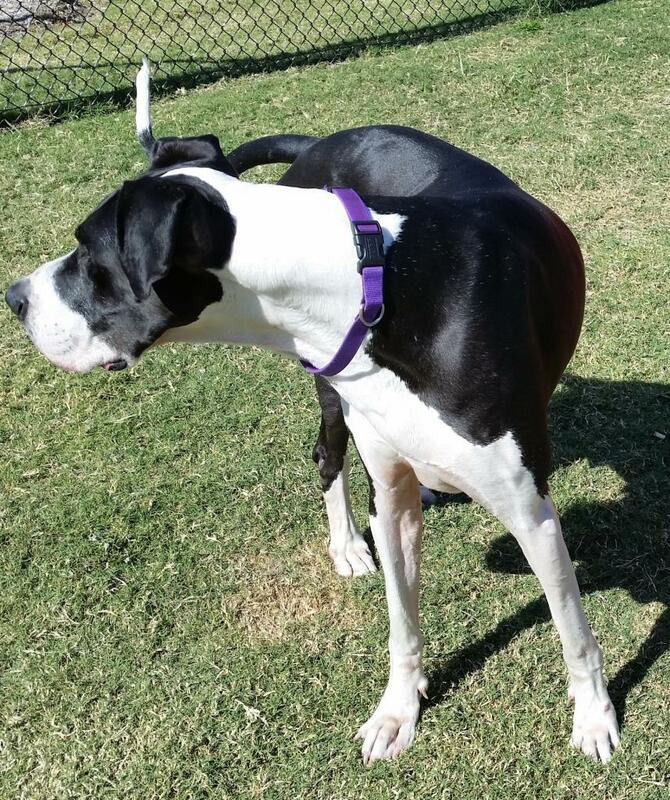 This was her last play date in her foster home and she was telling all her friends about her awesome FURever home. She is truly a lucky girl to have her new FURever family. People often ask us if we have puppies available for adoption, this is a frequent question, so here is the deal. Puppies are rare in rescue, while we have recently had more than usual, they are still rare in rescue. 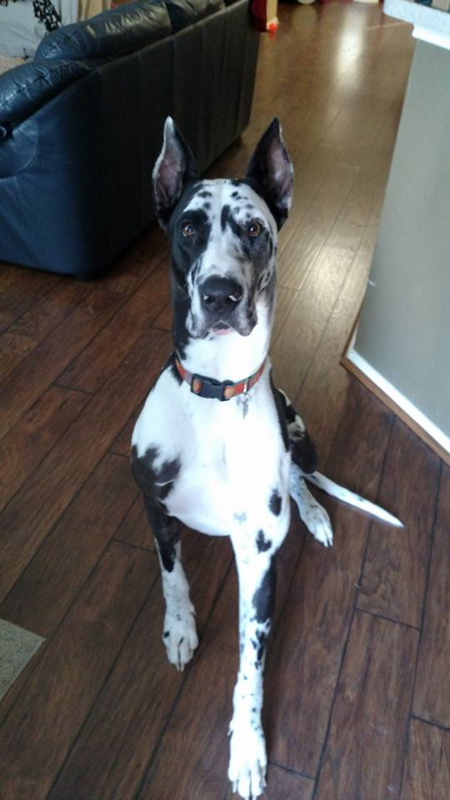 That being said, adopting out a dane puppy is a unique adventure. The fact that they are in such high demand is a part of the problem. 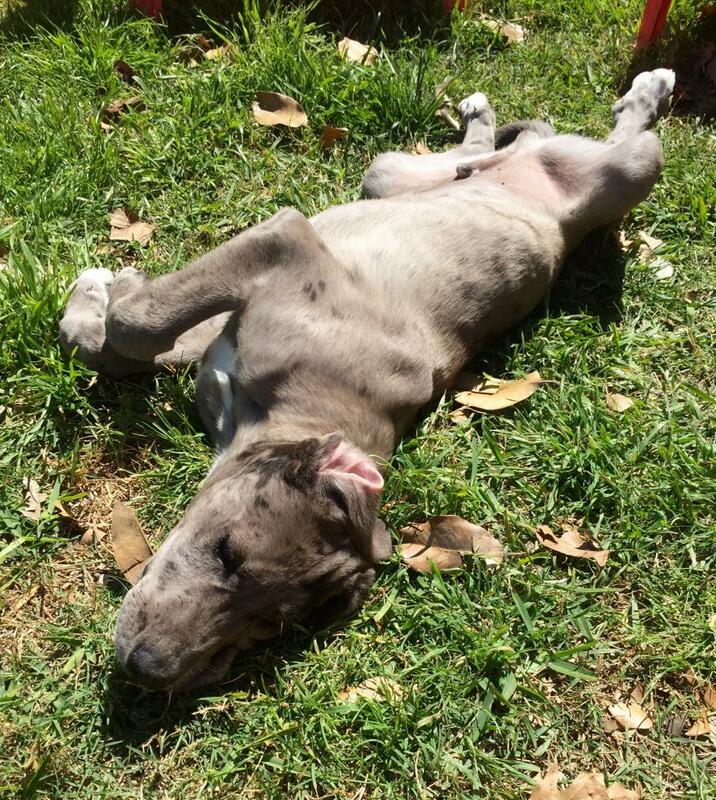 Everyone wants that cute, floppy, uncoordinated adorable dane puppy. What MOST people fail to realize is that cute, adorable uncoordinated puppy is going to get big, and I mean GIANT. Read more about So You Want A Puppy.... Read This.